Moles are common skin growths that many people experience. They commonly take the form of a raised growth on the surface of skin that may also be irregularly pigmented. Although a majority of moles are harmless, it is still important to monitor them due to the possibility of developing skin cancer. In order to ensure the overall health of your complexion, mole removal is a safe and effective option for patients who are looking to eliminate their unwanted or irregular mole. If you are interested in receiving mole removal, reach out to the professionals here at Precision MD to learn more. 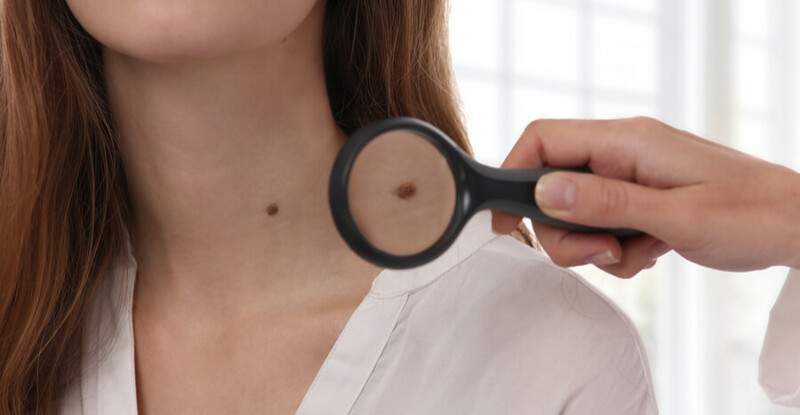 Although a majority of moles are harmless, there is still a possibility that an irregular mole or growth could turn into skin cancer. For people who have fair skin, or a family history of skin cancer, mole removal is a great solution for ensuring overall skin health. If a mole or growth seems to have changed in size or shape, or looks abnormal, mole removal is a preventative way to avoid developing further skin concerns. For patients who simply are not satisfied with the appearance of an unwanted mole, mole removal is a quick cosmetic solution for eliminating your unwanted growth. There are various forms of mole removal procedures that can be used. Upon an initial consultation with one of our professionals, the best form of mole removal for you can be determined. Various methods include shaving, as well as excision mole removal. The mole removal process first begins with local anesthesia in order to ensure optimal patient comfort. Your mole can then be removed using methods of shaving, or an excision procedure. Excision is when a small incision is made around the mole, in order to effectively remove it from the surrounding area. The exact method for you depends on various factors, such as the size and location of your mole. During your consultation, we will walk you through the process in detail to help you better determine what exactly to expect. Here at Precision MD, it is our main goal to ensure the overall health and wellness of each one of our patients. We are dedicated to offering personalized treatments, including mole removal services, for radiantly beautiful and healthy skin. Reach out to the caring professionals here at Precision MD to learn more about our mole removal treatments. Contact us today and schedule your consultation towards overall wellness.